In addition to an advance copy of Azure Striker Gunvolt for review, 8-4 has graciously provided me with three download codes for Mighty Gunvolt. If you're lucky, you'll be able to play this fun 8-bit romp hours in advance! 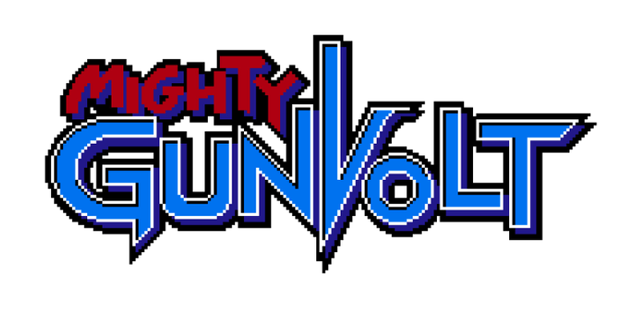 For everyone else, Mighty Gunvolt is free with the purchase of Gunvolt. The codes will be posted below throughout the night. If you manage to use one, drop a note in the comments (so we know you’ve used it). For the sake of keeping this giveaway manageable, unrelated comments will not be published at this time. These codes are valid in North America only! That's all of them. Thanks for participating! Heh. I got the first one. No wait nevermind, for whatever reason, it showed the Download screen, but when i pressed download. It gave me a "this code has already been redeemed" error. Crap... I managed to predict the first eight letters and numbers, and I still ended up getting beaten to the punch. To think I'd come so close only to fail in the end. Ah, well. I guess all I could do now is get this for free after buying Azure Striker Gunvolt, which is what I already intended to do, anyway.